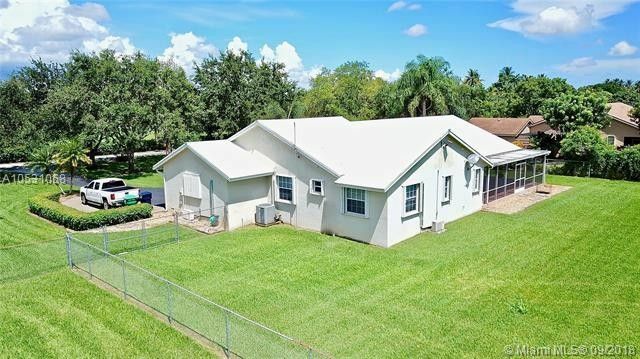 This 4/2 home in Coconut Palm Estates is a must see! Tile/wood floors throughout. The kitchen has granite counter tops, island, SS appliances, white cabinets and open to the family room. Dining room and living room have recessed lighting and French doors to the patio. Master BR has French doors to the patio, recessed lighting, barn doors to the bathroom, and walk-in closet with built-ins. Master bath has dual sinks, oversized shower with rain showerhead. 25 x 18 screened patio with 3 fans/lights and tile floors. Backyard is fenced.